A while back I wrote about the internal Trinity of Mind, Heart and Will that exists within a human being. Shortly thereafter, I was meditating in my Shaolin Kung Fu class when I came to a realization about the Triune nature of Jesus, and how it relates to that internal trinity of Mind, Heart and Will. While many speak and praise Jesus as the wise teacher and compassionate healer, what is far less talked about, at least outside of what would be viewed as “extreme fundamentalist” Christianity, is the third and most controversial aspect of the personality of Jesus- that of the Warrior King. The concept of being a warrior and doing battle is something that many people have learned to recoil from through societal or personal trauma. Much of this is a natural reaction to the horrors of modern warfare and the increasing public awareness of the self-serving and deceptive motivations behind it. Family members and loved ones go to die overseas, while the “War on Terror” and the “War on Drugs” have been shoved down our throats and turned our own backyards into battleground. People are tired of war and often seek to run in the other direction from the mere mention of the word. 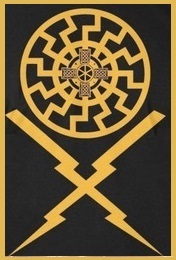 All that being said, it is no wonder that passages such as the above from Revelation, or the infamous “I came not to send peace, but a sword” passage from Matthew 10:34 tends to offend modern liberal Christian consciousness to the point where some deny that it was even stated at all. I try to stay out of the truth vs. fiction arguments surrounding the historical Jesus. As for the inherent warlike nature of Revelation, one only need look at the turmoil that was taking place at the time it was being written to understand it. So then, how do this concept of Christ Jesus the Warrior have any sort of positive translation or application to us modern day folks who may not be the “Hellfire and Brimstone” types? To answer that question, I think we should look not at the principles and tactics of modern warfare, but rather the principles of traditional martial arts practice. One of the principles behind traditional martial arts practices is the idea of “being like water”- being loose and fluid in your movements and your mindset. This allows us to get a better feel for our opponent. 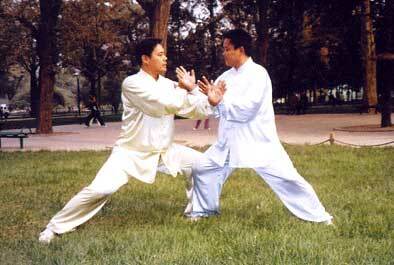 This fluidity allows one to use the momentum of an opponent against them. The martial arts practice of Aikido is a perfect example of this. I recently did an exercise where the group leader had us clasp hands with the person in front of us and we would both push towards one another while saying “My way”, showing the nature of one trying to exert their will directly onto another with the hopes of overpowering them. This contrasts nicely to the Tai Chi push/pull partner exercises where you remain fluid and rooted to the ground, simply wait for your partner/opponent to become too invested in their own desire to “win” and knock them off balance, rendering them vulnerable. The “my way” exercise I see as an illustration of the modern warfare tactic of brute force and imposing will. This is also something a many of us do or have done in personal relationships as well to some degree. This differs from the rooted and fluid method of martial arts, where we remain adaptable to what happens around us, but still rooted in our own sense of Being. Then when the opportunity presents itself, we act in the calculated manner of the martial artist, never exerting more force than necessary. This is the way of the spiritual warrior; the path I have been striving towards since the beginning of my conscious spiritual journey 13 years ago. I first discovered this concept when studying and practicing the principles of Toltec Shamanism. Gary Van Warmerdam, a student of Don Miguel Ruiz, describes the spiritual warrior as someone who “challenges the dreams of fear, lies, false beliefs, and judgments that create suffering and unhappiness in his or her life”. I have discussed the idea of being mindful of our thoughts and belief systems, as well as the origins of these. However, to understand this concept of Christ Jesus as the Warrior, I think we need to incorporate more than just internal work, or work relegated to just ourselves. Here with the Buddhist concept of the spiritual warrior, we have the added component of not just rigorous work with one’s self, but the desire to work with others in service to help them obtain liberation from self-ignorance. This self-ignorance could be seen as the root cause of the dreams of fear, lies, false beliefs and judgements the Toltec spiritual warrior seeks to liberate their individual selves from. When working to help other beings, it is essential that we have compassion. It is also essential that we have “a brave mind and ethical impulse”. In other words, we need to have courage. Courage is the heart of the warrior. In life it takes courage to do the right thing, when it seems the entire world is telling us the opposite. It takes courage not to give into peer pressure; whether it is from family, friends, coworkers, or society at large, and instead speak and live your truth as Jesus did. It takes courage to stand up to authority figures and expose that they are working for their own self-interest and leading society astray, as Jesus did with the Pharisees. It takes courage to stand up for those whom society has deemed as “wicked”, as Jesus did with the adulteress. 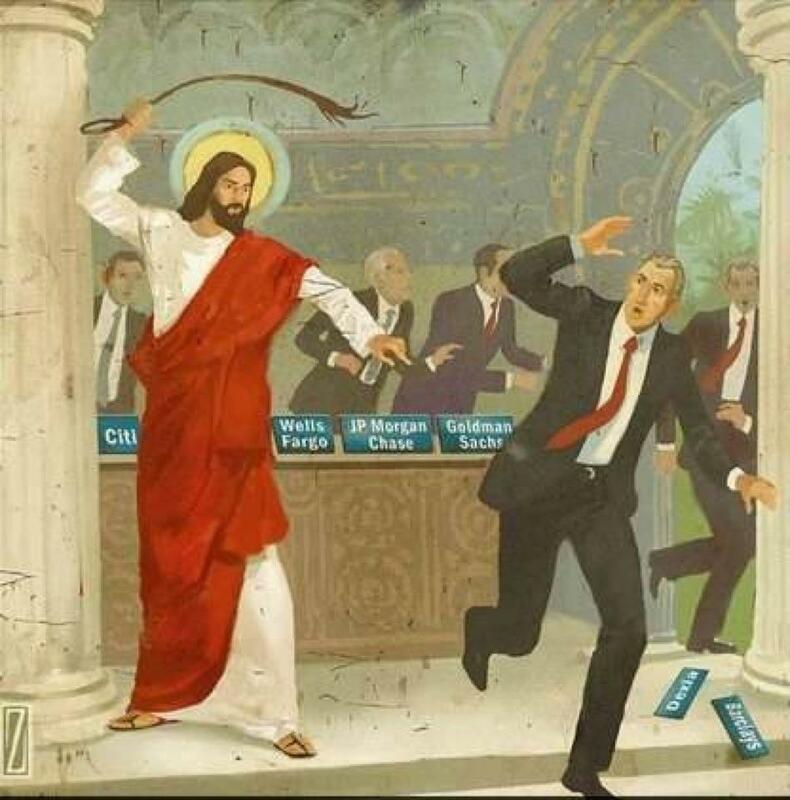 It takes courage to stand up to the powerful institutions that are destroying the moral fabric of society, as Jesus did when he drove the Moneychangers from the Temple. I see this figure of Christ Jesus the Warrior King relating to the Will component of our internal being, while Jesus the Wise Teacher and Jesus the Compassionate Healer relate to the Mind and Heart respectively. These are all aspects of ourselves as well that can be “tapped into”, as Jesus is the archetype of what humanity is capable of becoming. The Warrior King gives us the courage needed to end the war within ourselves, becoming unified and creating internal sovereignty, or “self-mastery”. When this happens, we are truly in a position create external freedom in the world, which as we know, is a VERY dangerous concept to those who desire any form of control, as the self-actualized, self-realized individual who has achieved liberation from his own illusions and become a “sovereign” does not fall in line to easily. This sovereign being also has the potential to show others that they can do this as well, which they will inevitably do. This is why I think a man like Jesus would have been seen as so dangerous to the established order of his day. The courage of the spiritual warrior is a call to action. Whether it’s the courageous action taken standing up for the free will rights of another or the courageous action it takes to simply admit we did wrong to ourselves or to another being. We need courage to walk the path of Light, Life, and Love, because this is NOT the path that mainstream commercial culture promotes. We need that brave mind and ethical impulse of the spiritual warrior to be able to successfully navigate through boggy mire that is the world humans have made and have allowed to be made for us. We need to be beacons of light to our fellow travelers who may be lost themselves. Those who have ears should hear- answer the call and take the path of the spiritual warrior- the world needs as many as possible. WR-ALDA’S Blessings unto you and yours.